Streamline Your Operations With State of The Art Software. Simple & Affordable ATS System with CRM. Manage candidates, schedule interviews & build your recruitment database with our powerful ATS. Nurture relationship with your candidate & clients. Deliver world class client experience. Unlimited parsing & RTL support. Parse resumes found in email, build candidate database on the go. 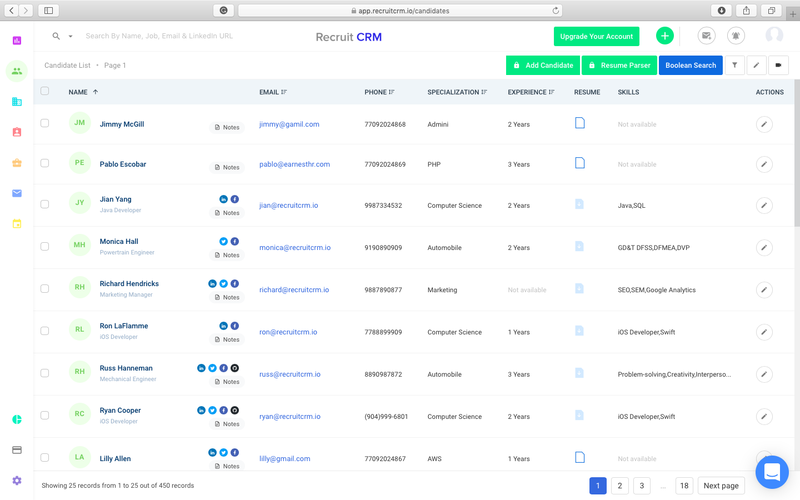 Send & Receive emails from Recruit CRM. Connect your bussiness email account & get going. Customise & host jobs page on your website to source candidates. Applied candidates appear in your database. Customise record fields, jobs application forms, invoices & hiring pipeline. From teammate performace to bussiness analytics, get all KPIs at your fingertips. Everything you create is searchable, from candidates to jobs. The most powerful boolean search ever. Just choose a location and hit search.  Get a beautiful & detailed list about your radius search in seconds. Gmail, Zoho, Outlook. No matter which email account you use. We offer seamless integration. Collaborate with your team and fill possitions faster. Schedule interviews & work together on clients. Generate beautiful invoices & email them to your clients. Keep a track of unpaid bills on the go. Recruit CRM is powering recruitment agencies across over 20 countries. Hundreds of agencies like yours trust as their technology partner. 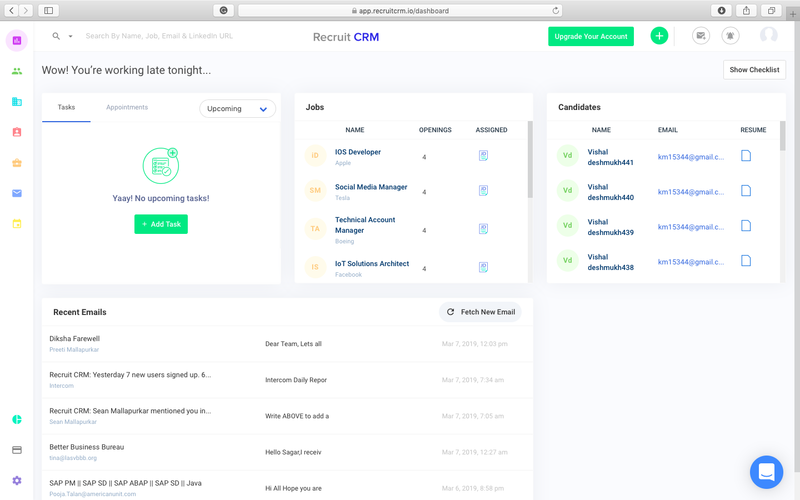 Explore Recruit CRM before you use it. Few screenshots for some hype before you get started. No commitments, no contracts, no lock-in periods & no credit cards. Use Recruit CRM without any charge till you are satisfied & doubt free. Transparent Pricing, No hidden cost. All data that goes into Recruit CRM is stored in world class data centres managed by Amazon Web Services and encrypted using AES-256 bit encryption. This is the global industry standard for internet data security. We also regularly backup your data. Is Recruit CRM GDPR Compliant? Yes, Recruit CRM is GDPR compliant. We also give you tools to make your organization GDPR compliant. You own all the data you put into Recruit CRM. We simply help you manage your data and business more efficiently. 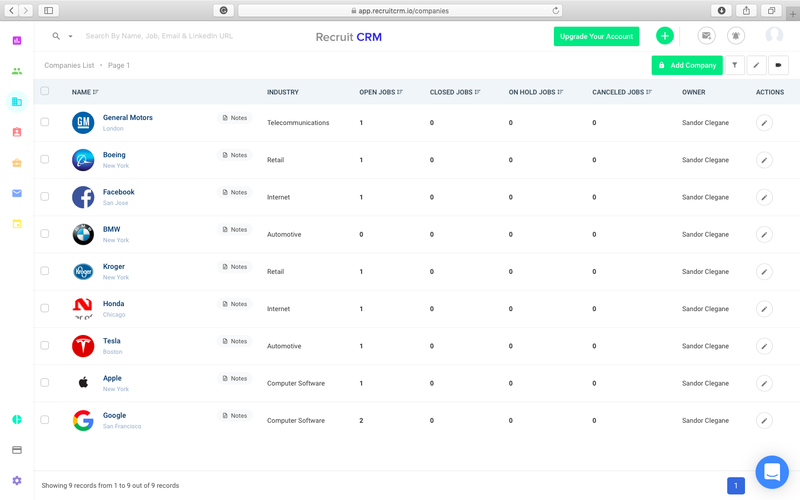 You can extract your data from Recruit CRM in minutes anytime you wish. Can I cancel subscription anytime? Yes, you can cancel your subscription anytime you want. 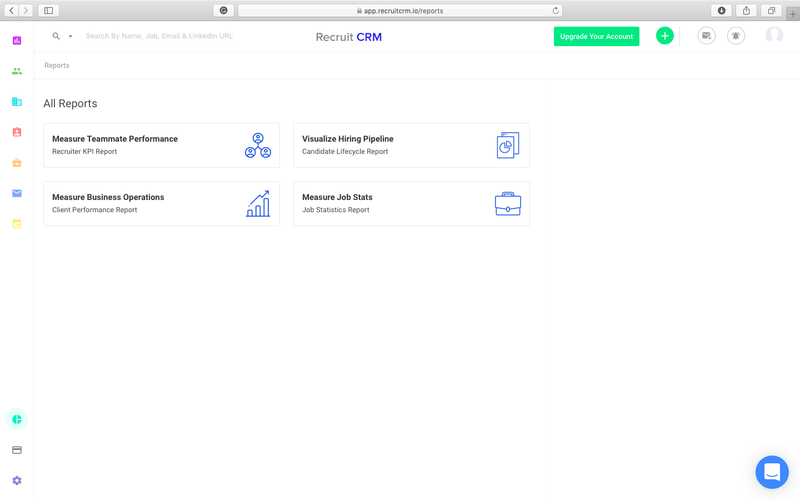 You can export your data out of Recruit CRM in few clicks. No strings attached. 5 Things To Know Before Buying an ATS!